Fun, fun, fun! 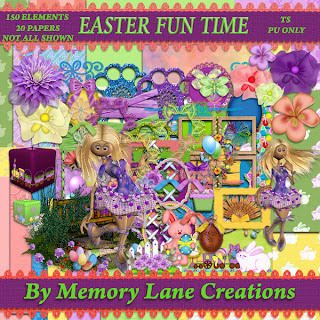 Easter and spring bring such great times to photograph and scrap about! This kit is super huge, 20 papers and 150 elements, including clusters, bunnies, and flowers and more flowers, oh my! It's created in wonderful springy pastels. This kit is the TAGGER SIZED kit, with 20 papers and 150 elements and is for PERSONAL USE ONLY. All is not shown as there is just not enough room for all elements!